Scholz, S.; Knight, P.; Eckle, M.; Marx, S.; Zipf, A. 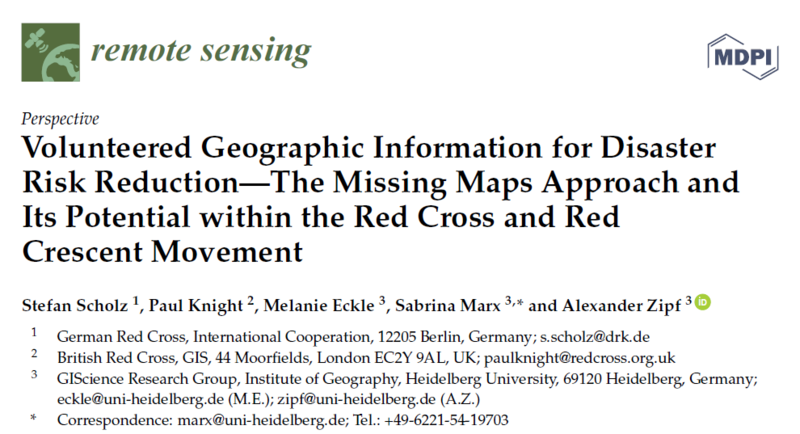 (2018): Volunteered Geographic Information for Disaster Risk Reduction—The Missing Maps Approach and Its Potential within the Red Cross and Red Crescent Movement. Remote Sens. 2018, 10(8), 1239, doi: 10.3390/rs10081239.